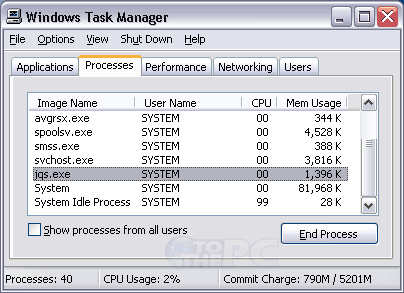 There are number of processes that start and run in the background on your Windows computer. JQS.exe is a classic example of such process. JQS stands for Java Quick Start. As the name suggests, it is related to Java installed on the computer. A quick look at Task Manager show JQS.exe consuming almost 1.4MB of memory. Getting into finer details, JQS exists to reduce the startup time for Java Applets and Java Apps. JQS.exe process prefetch Java Runtime Environment files into memory and caches them. This serves JRE files instantly as and when a Java applet or app is used. An average computer user does not use too many Java applets / apps (say once in a week). So, why waste important PC memory on such process? You can easily disable JQS.exe process and free up some memory on the PC, what say?